The Patient’s Playbook will change the way you manage your health and the health of your family, and will show you how to choose the right doctor, coordinate the best medical care, and get to the No-Mistake Zone in medical decision-making. how can the patient's playbook help you? The Patient’s Playbook will show you how to find the best primary care physician, and collect your medical records, so that you're prepared to tackle any future illness. Did you know that not all emergency departments are equipped to handle children? The Patient’s Playbook will teach you the questions to ask ensure your family gets the best care. When multiple doctors are treating an elderly patient, it's crucial that someone play the role of quarterback. 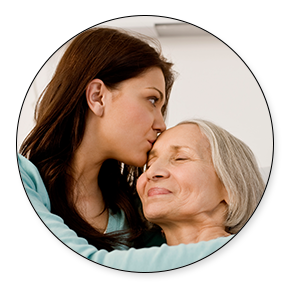 The Patient’s Playbook will teach you how to coordinate your parents' care. A diagnosis is the first step toward recovery. The Patient’s Playbook will give you the steps and tools you need to make sure you're getting the best physicians and treatments. More than 400,000 Americans die each year as a result of preventable medical errors — mistakes, complications, misdiagnoses and more problems that should never happen to you. Many more of us are not receiving the best care possible, even though it’s readily available and we’re entitled to it. The key to getting the best care is knowing how to access it. The Patient’s Playbook is a call to action. It provides actionable steps that will teach you how to get to The No-Mistake Zone™ in every medical situation. Leslie D. Michelson has spent 30 years helping people achieve superior medical outcomes at every stage of their lives. In his book, he presents real-life stories and easy-to-follow strategies for navigating myriad health care dilemmas. The Patient's Playbook will enable you to become a smarter health care consumer and replace anxiety with confidence.